A clean sharp edge for a professional streak free result. Highly durable 100% natural rubber in a variety of lengths so you can cut to suit. Ideal replacement rubber squeegees for Royal and Sovereign squeegees. Channel & Rubber for use with Crown Handles. Rust free stainless steel. Moulded rubber for streak free finish. 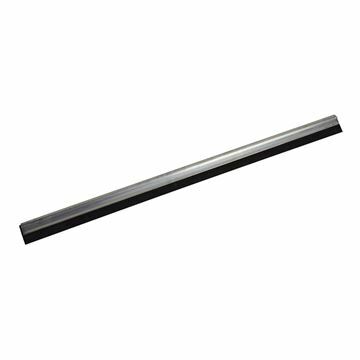 PULEX REPLACEMENT RUBBER - 36"
The professional’s No.1 choice! The edge of the rubber is the key to success. Genuine Pulex rubber is used for its grip and adherence for a streak-free finish. Laser tested throughout manufacture. 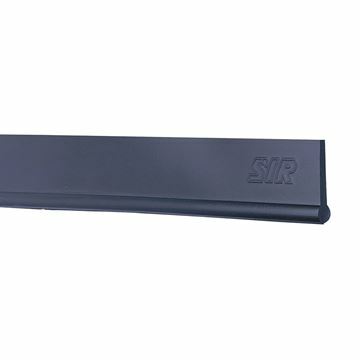 Cut to length finest quality hard or soft compound moulded rubber replacement squeegee blade, ready to use. 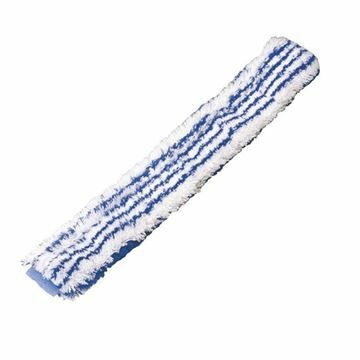 Wash Sleeves with Scrubbing Action - Integral blue scrubbing strip for extra cleaning power. 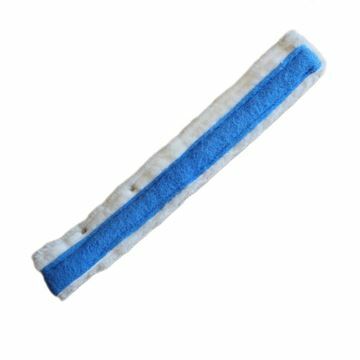 Microfibre Wash Sleeves - These sleeves can hold up to 8 times their weight in dirt, dust and moisture, offering massive window washing potential. Microfibre is environmentally friendly with excellent cleaning results and minimum use of chemicals. High water absorbency, washable and lint-free. The new 'Bambino' hand-held Cleano is handy for cleaning internal glass on public transport or glass panels that require quick and easy access, and can also be used for cleaning table tops. 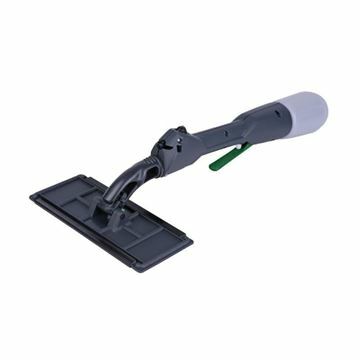 Use with a glass pad/mop for windows and glass or spot pad/mop for tiles, ceramic surfaces. Standard sleeves with a plush woven synthetic pile for high water absorbency. All wash sleeves fit our polypropylene rust free applicator handles. Standard sleeves with a plush woven synthetic pile for high water absorbency. 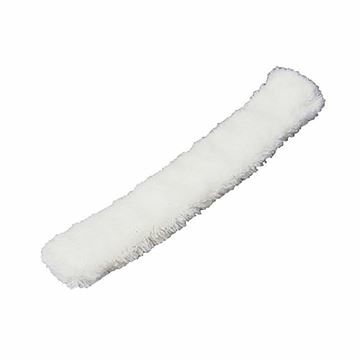 All wash sleeves fit our polypropylene rust free applicator handles. The dynamic design improves water flow through sleeve. A clean sharp edge for a professional streak free result. Made from highly durable 100% natural rubber in a variety of lengths so you can cut to suit. The ideal replacement rubber squeegees for Royal and Sovereign squeegees.